This system is designed to support either textile or paper roll backgrounds. This system comes complete with two stands, a three section cross pole and strong carry bag. The cross pole comes in three sections and it is possible to remove the center section to reduce the width of each cross pole by 39-Inch making use of the two end sections for small paper rolls in confined spaces. 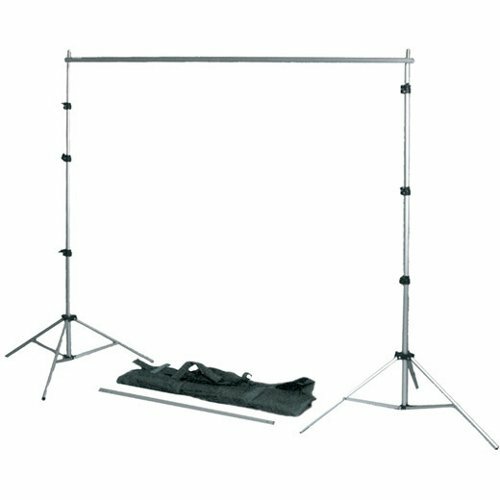 The COR755 Background Support System is 94-Inch x 98-Inch with bag. A great compact portable background solution.